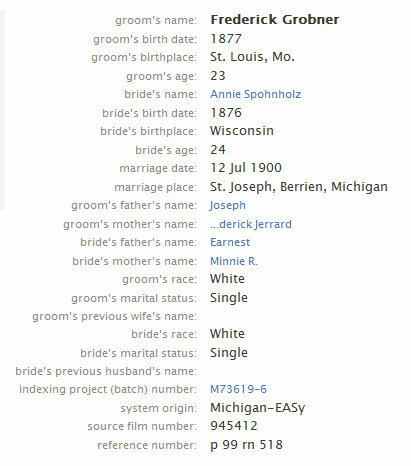 With the explosion of digital content available at FamilySearch, Ancestry, and other subscription sites, many researchers are left with the impression that an online query at those databases constitutes an “exhaustive” search. Clearly, that is not the case. Researchers that overlook local society publications, print or online, do so at their own peril. Hillsdale County Marriage Index: Hillsdale, Michigan (2001), p. 598. Organized in 1835, Hillsdale County is located in southern Michigan on the border with Indiana and Ohio. This means that at the time this resource was published, it included every marriage recorded in the history of the county, a remarkable achievement. 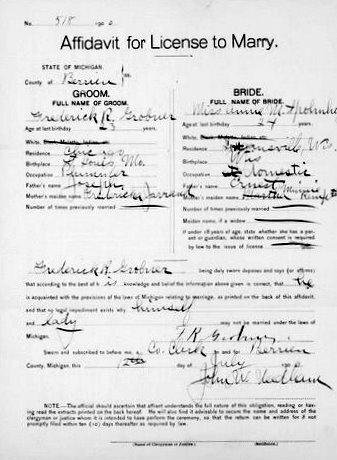 With each entry, researchers learn the name of the bride and groom, the year of marriage, and the appropriate liber and page number to be able to find a copy of the county marriage record. What a fantastic resource! I don’t have Hillsdale County ancestors, but I almost wish I did. The real strength with this resource is the fact that it includes contemporary content, with marriages nearly up to the present day. The large subscription sites may have impressive collections of documents, but in many cases, they do not contain recent records like we see with this Hillsdale County example. 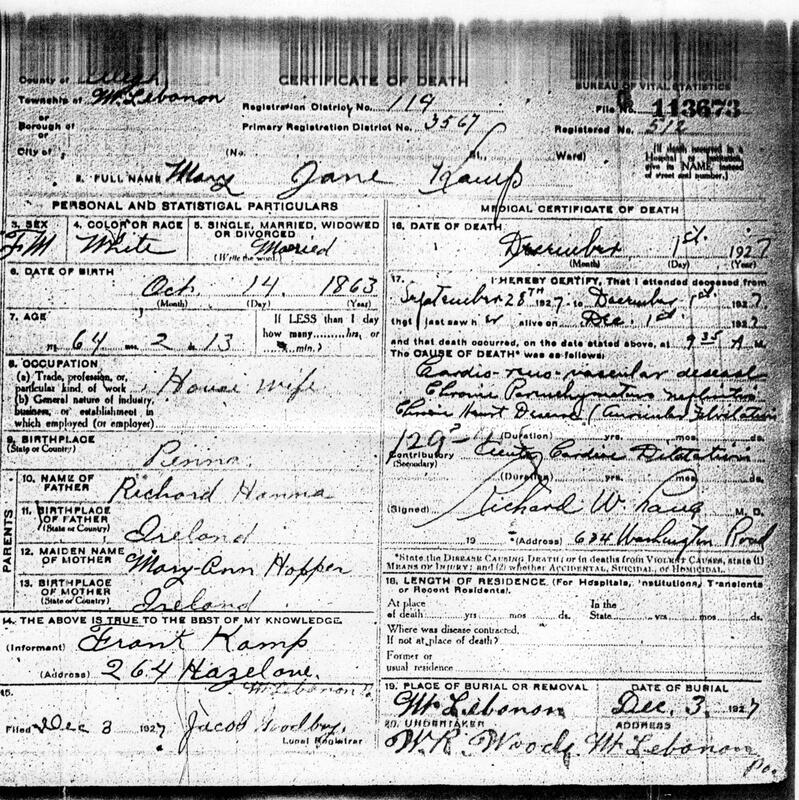 We are fortunate here in Michigan, as other examples of local societies indexing their county’s vital records proliferate, including the Downriver Genealogical Society, Flint Genealogical Society, Huron Shores Genealogical Society, Genealogical Society of Monroe County, and a number of others. The critical point is that in many cases, the local society publications often include more recent genealogical information not readily available elsewhere. 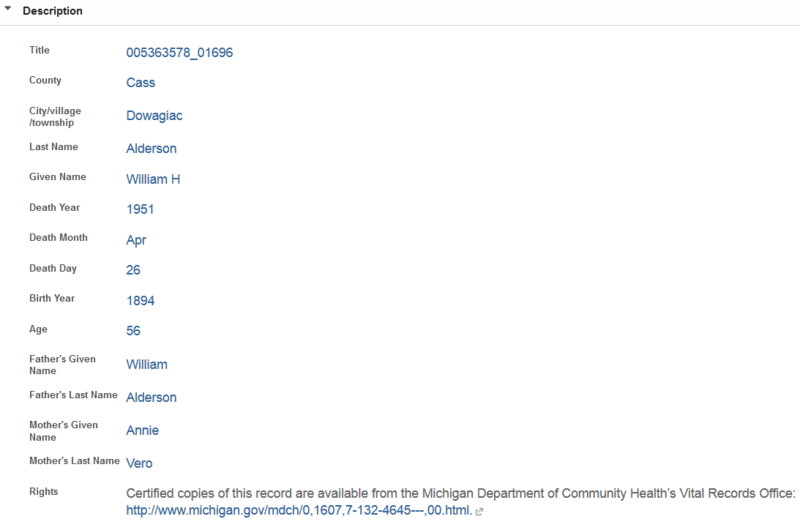 One other important point with these society publications is that they often index the county-level records, which in Michigan is a different record than the state-level one; this is an important distinction, as each record set will have a unique citation and source information. I will explore the state vs. county conundrum in more detail in a future blog post. To find these important society publications, be sure to visit the local society’s web site, the available titles for purchase are always listed. 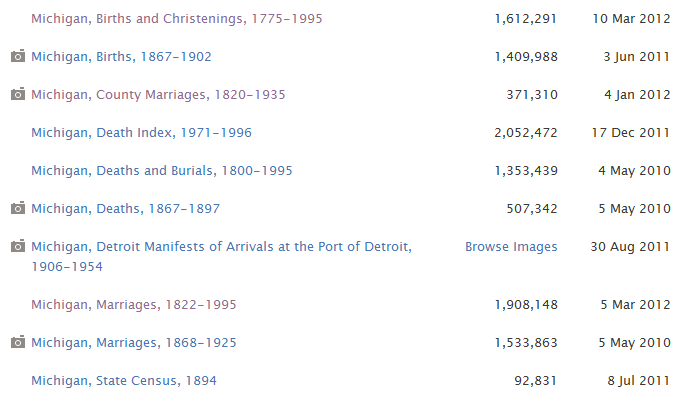 Research libraries, such as the Library of Michigan or the Allen County Public Library, also maintain impressive collections of local society publications. For many years, local genealogical societies have worked tirelessly to index and make available the records for their respective community. Although more content continues to be placed online, it is important to remember that an overwhelming amount of information will still remain on the ground in courthouses, libraries, and archives. Researchers would be remiss to not utilize the local genealogical society and their publications catalog in the geographic area their family called home.